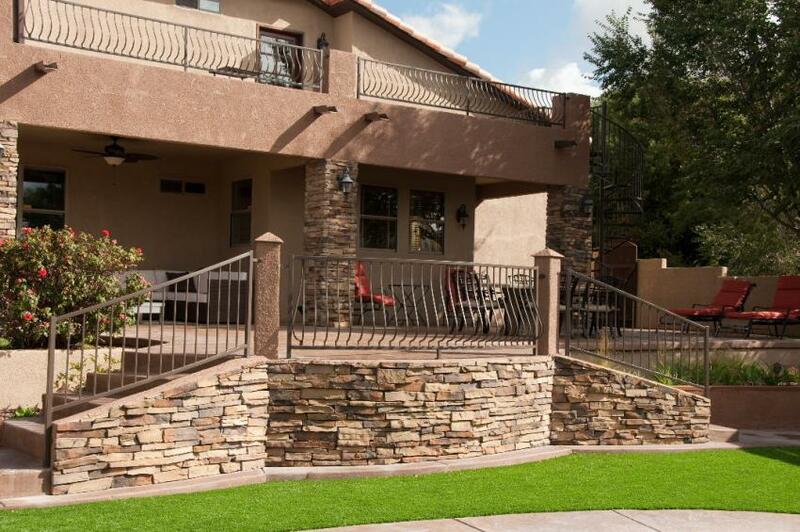 are just a few examples of the different types of railings we offer. and functional spiral stair tucked out of the way maximizing deck space. This spiral stair has an intermediate landing and basket accents through out. This simple guardrail features knuckle elements with single tube railing. railing is fabricated using 1/2" steel rods. The stairway features steel stringers with trex tread inserts. 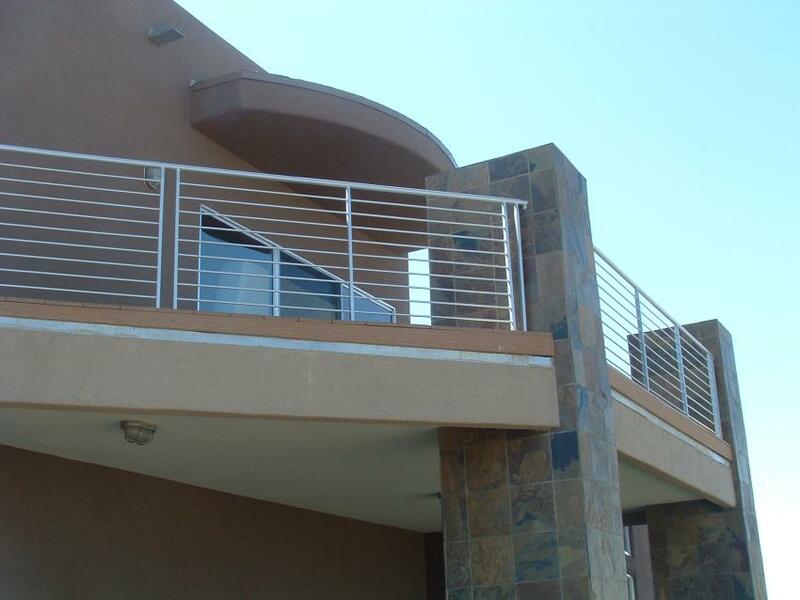 The beautiful railing on this Juliet Balcony was fabricated using hammered top and bottom rails with belly balulsters. design is an alternate to the often more expensive stainless steel cable railing.